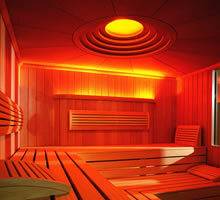 Let yourself fall and enjoy our sauna with colour light and water games. In the herbs steam bath you can smell the mountains. If the sun should not be shining you can use the solarium (everything included in the prices). W-LAN in all rooms and appartements!